What is the Advanced Workshop? This will be a workshop aimed at those who have responsibility for producing strategic business plans for visitor attractions. We have carefully crafted a challenging programme utilising 5 workshop sessions, short breaks for head-clearing and discussion around the content of the sessions. Please note: if one person has completed the introduction ‘Walk-shop’ they may bring up to 3 other team members. 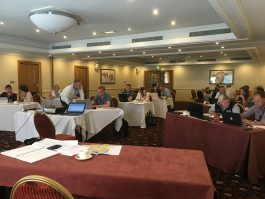 Each workshop session will focus on the in-depth aspects of each model and delegates will work through an exercise on their own by using their own attraction data. Each workshop will bring key aspects of how to approach strategic planning and bring brief-writing alive. Effectively they will produce a draft 5-year strategy. This workshop is led by experts and is open to operators of attractions with 15 limited spaces. The Workshop will be based in Wallingford, Oxfordshire over two days. On each day, we will build in a break, separated by an informal conference dinner on the first night.